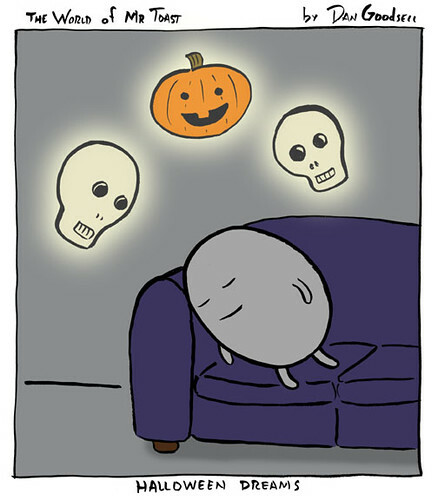 Halloween Dreams, originally uploaded by grickily. Yeah, I know I keep posting Dan’s stuff, but his art makes me feel happy inside. I know just what you mean. I love Dan’s work. This one is particularly nice. I like how the dream images are so friendly in their spookiness, and the blissful smile on Egg’s face. Sublime!